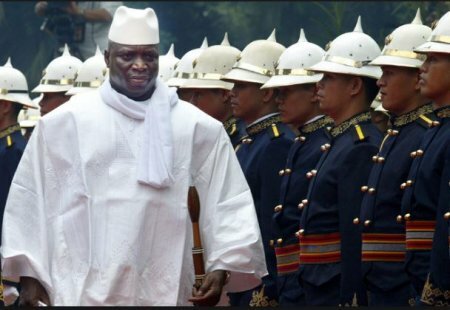 The Gambia’s parliament has extended President Yahya Jammeh’s term, which is due to end on Thursday following his defeat in elections, by 90 days. It also approved his decision to declare a 90-day state of emergency in the tiny West African state. Regional leaders have threatened to use military force to oust Mr Jammeh if he refuses to hand power to President-elect Adama Barrow on Thursday. Thousands of UK and Dutch tourists are being evacuated from The Gambia. The country is popular with European holidaymakers because of its beaches. The Gambia was plunged into crisis after Mr Jammeh rejected Mr Barrow’s shock victory in the 1 December election. Regional leaders have been unsuccessfully trying to persuade him to step down. Nigeria has deployed a warship to put further pressure on Mr Jammeh to step down. Regional bloc Ecowas, the Economic Community of West African States, has prepared a Senegal-led force but maintains that military intervention would be a last resort. In his televised announcement on Tuesday, Mr Jammeh said “any acts of disobedience to the laws of The Gambia, incitement of violence and acts intended to disturb public order and peace” were banned under the state of emergency. He said security forces were instructed to “maintain absolute peace, law and order”. The parliament passed a motion condemning what it called the “unlawful and malicious interference” of the African Union and neighbouring Senegal in The Gambia’s affairs.